Watch the recording of our Live Video chat about your benefits with AARP. You asked questions and here are many of the answers. How would you rate your community as a place for people to live as they age? How important is it for you to remain in your community as you age? For retirement when you don't work for pay, how likely is it you'll move to a home inside or outside your community? Full AARP video chat from Thursday, June 30, 2016. The idea is to help people turn their goals and dreams into Real Possibilities, strengthen communities and champion issues that matter most to families-such as health care, employment and income security and protection from financial abuse. We also offer opportunities for people of all ages to volunteer with AARP. If you're interested contact AARP 1.888.687.2277 or 1.877.342.2277 (Spanish). 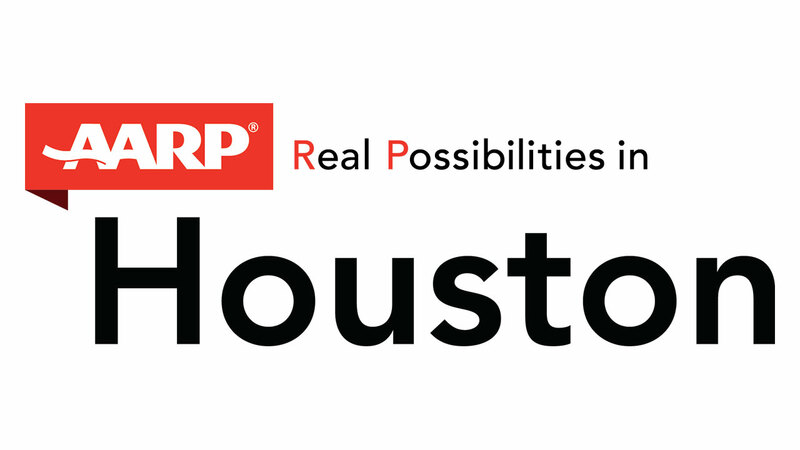 You can also email Houston@aarp.org. 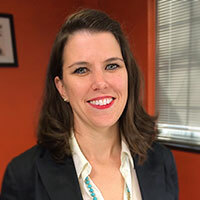 first worked with Neighborhood Centers Inc. as an intern while she was working on her degree at the University of Texas Austin where she earned her Masters of Science in Social Work in 2005. Upon completion of her MSSW, Ms. Lorino worked as a Project Manager for a the National Institute of Health (NIH) grant at the University of Houston, which explored the relationship between the built environment and the health of African American women in public housing in Houston. Following this work, Ms. Lorino began working as the Public Affairs Field Manager at Planned Parenthood Gulf Coast. 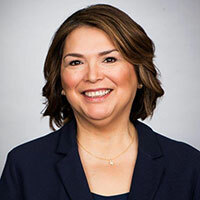 In this role she worked with individuals, community organizations, professional organizations and elected officials to promote Planned Parenthood's legislative agenda throughout the agency's service area. This work involved both community building and community organizing principles from the social work perspective. Ms. Lorino rejoined Neighborhood Centers Inc's staff in 2009 to manage an Administration on Aging grant. In this role she managed a program that provided older adult neighborhood residents with case management that connected them to needed services; implemented evidence-based programming that built the skills needed to age in place of older adults; and developed, with local leaders, service partners, and community members, resources and services needed by seniors. Today, she is the Director of Neighborhood Based Senior Services at Sheltering Arms Senior Services, a division of Neighborhood Centers Inc. In this capacity, she oversees 17 congregate meal sites, evidence-based health promotion programming offered throughout the city and community based case management program for seniors. is the Community Executive Director for the M. D. Anderson Family YMCA of Greater Houston. She was born and raised in Houston's Northside and remains very active in the community. Marie received her Masters of Social Work, specializing in political and community organizing, from the University of Houston Graduate College of Social Work. Her undergraduate studies included Human Development and Family Studies. Marie began her professional career at Spindletop Charities, Inc., the largest oil industry related charity in Houston, while serving on the board of the Y. Marie is committed to ensuring equity in education for children and health access for families and the aging population. She is engaged in activities that continue her family tradition of making significant volunteer contributions to our community by currently serving on the local boards of Avenue CDC , Healthy Living Matters, The Houston Livestock Show & Rodeo, and HISD's Home Instruction for Parents of Pre School Youngsters "HIPPY". She also lends leadership to special committees that advance the quality of life for Houston which include Go Neighborhoods Northside/LISC, NCAA Final Four Houston Local Organizing Committee, and Mayor Sylvester Turner's Transition Team Committee. In her spare time, Marie enjoys travel, yoga, festivals, and exploring undiscovered areas of Houston. is an individual who has always stepped up to volunteer where she saw a need. She decided to volunteer with AARP because the Association's projects align with the joy she finds in helping our 50+ community. Through the years, Okabayashi has played an integral role as AARP's volunteer liaison on the Complete Streets Coalition, and represents the voice of AARP members and non-members alike. She has been working tirelessly with AARP to make Houston a more walkable community for people of all ages. 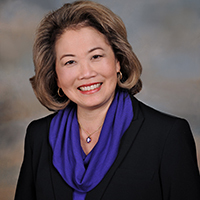 As a volunteer for the past seven years, Okabayashi has volunteered through state legislative sessions, for congressional district hearings, at community events and during local city council hearings. She has also publicly weighed in on many important issues such as the future of Social Security and low-income Texans struggling with electricity bills. Her tireless efforts have earned her accolades as diverse as the Harris County Area Agency on Aging Recognition Award and the Houston Livestock Show and Rodeo Top Hand Award for Committeemen's Club. We'll have a transcript available at the conclusion of this live chat.